Found this stand for the Opulence Embellishment Inks - they fit perfectly. To have a one-off stand made is a very expensive exercise so one night in the middle of it, I woke with the bright idea of removing threads from one in our storage and replacing it with the paints. I have been painting labels with the colours. It will be proudly on display at AQC - these paints - made in Victoria - are absolutely glorious - rich strong pigments and loads of mica (I don't know the secret formula). you can use them on any surface as far as I can tell. Next door's cat if it was friendly enough to stop. 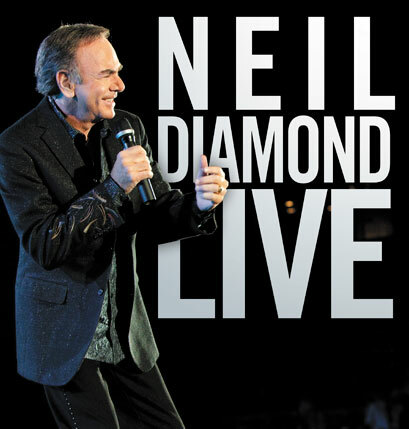 We enjoyed the Neil Diamond concert last night - most of the sound came into the garden pretty clearly. I wouldn't have liked to have paid money though - he didn't sing for long. His voice doesn't seemed to have changed from many years back. We shared our time checking on the Black Caps in the semi final of the cricket but sadly they did not get to the final. Good stuff though. I finally found my sari ribbon vanilla beans and old roses piece of work - all rolled up with the clothes I took from the suitcase after Sydney and forgot to put away - tut tut. It was like finding a long lost friend and now i shall do some more stitching on it as a reward. 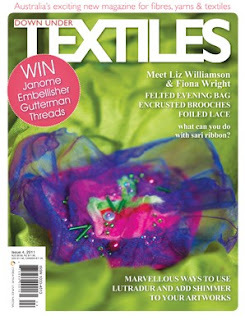 I heard today that Down under Textiles #4 will be out next week - at last. For everyone who has been waiting, we shall post them off the minute we get them. I have an article inside titled 'what you can do with sari ribbon' - I can see it on the cover. 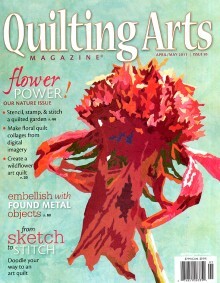 I have been doing rather more things with it since then I must say - still having fun making roses. I have still not found my vanilla beans and old roses woven piece and am despairing that I might have to start another one - I keep lifting things up and looking underneath. Last chance - I might go to the cellar and look in the suitcase I took to Sydney in the hope that it is there. In the meantime as part of putting together the Paris packs I am making I made a little Paris piece and popped a few roses at the bottom. This is a page in my Paris journal which is making slow progress. I started opening the Pick-a-pockets this afternoon and sorting through them. There are some glorious ones - they will make a super display at AQC for starters. I might show you a few when I have got them all sorted. I found a few orders inside as well - sorry folks - they will be done tomorrow. Watched the schizophrenic Hurricanes play yesterday - I am starting to wonder if I am their only supporter - Bruce has siphoned himself off to the Crusaders the coward. Surely they must come good sometime - there are so many good players there... But great stuff for the Black Caps especially as I don't really follow any cricket. Doreen sent me a pic of she and me when they came to dinner last Sunday - we had a lovely night. Then she went wandering in the shop. I have been playing with Romeo water soluble. One of the things I really like is that you can apply paint to it - I have used one of the new Karantha stamps (not on web yet) with the Opulence paints. Because it is slow dissolving, the paint stays and you can stitch on it or to a surface and when you wash Romeo away you are left with a raised surface of paint. Great 3D really. This piece below is a different one but same. The one above is drying. Lots of rugby today - I have managed to lose my woven vanilla beans and old roses piece - it must turn up sooner of later - Ian has been doing lots of photographing for my new let's play book. 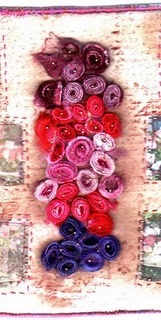 Anyway I have been playing with some of it for Paris roses. Just needed to add that lovely Paris lace Rae sent. She is sending more for all the people who wanted to buy mine. I think I might just make up some special Paris packs of Paris goodies. Watch the web. The special new fabric kits are ready on the website under Moulding to Impress because that s what I am doing - impressing on the fabric and heating to impress. It's been a very busy week so far - the hot sticky weather came back after a couple of days of reprieve but I do have a mostly new tooth so cannot complain. First I have been creating and gathering samples for my article in the Embellish magazine - here I have been playing with nail varnish - not a very good photo but it does make great seaweed and stuff. Then we got a huge lot of Starburst Colour Shots and Moonshadow Ink Pots. These are the same mix as the sprays but you can add water or textile medium or acrylic wax etc and paint it on. I find these really great when I want a different type of coverage. Same price etc and still the same great thing where you add your liquid and you are not paying for liquid to be carted around the world. Just a tiny thing for our planet - it needs help these days. Keeps the price sensible too. Then we got our Dotties - little jars for whenever you need dots and lines. Clever and easy. plus a whole lot more Karantha moulding mats - this is Squiggly - I have had time to use any of them yet - there are faces and flowers and more. I will. I am still working on flowers especially roses and have a great little idea I am playing with (tomorrow) with my Paris flowers. Need more hours in each day. But off to bbq instead with a glass of Eldertons Shiraz from MY cellar collection. ps lots of people have asked - the new fabric kit should be ready tomorrow. Finally got my big roll of fabric which is great for impressing and moulded shapes. Very pleased with the sample I made this morning. It shoudl be available as a kit later in the week. Here is one which has been further worked with stitch and heat. Good weekend of rugby we have had and today the weather has been the best it has been for so long. Doreen and Stephen are over from Canberra and we had a lovely bbq. Off to the dentist tomorrow for to see about the front of one of my teeth which disappeared while I was eating my toast yesterday. I must have swallowed it! By the way - cool bananas means that something is really great. I also heard 'stoked' again the other day - haven't used that for a long time. Cool bananas indeed. This is a very old expression from years ago which I saw mentioned in the North and South magazine. Long forgotten so needs revising. Use it as you will. This is a new Slushie bag - yes Jacinta, the shipment has arrived and there are 9 of these and 2 are winding their way to Warrandyte. Plus we sent a big bag off to a new customer in Russia today. Isn't the world small? Ian tells me the delivery chap was a wimp and he had to do all the opening the box and carting them into the warehouse. Sounds like the latest taxi drivers we have had - no pay until they get out of their car and get our bags from the boot. Thanks for all the supportive emails on the workshop front - I have had over 200 today and I thank you all. I have recoevered from meltdown for the moment but my list of to do is very very long. In the meantime I shall relax and enjoy the rugby and then a bbq. I reckon I am almost into meltdown time - well I was this morning. Maybe I have recovered. So much to do and never enough time. I have to say that nearly all the orders are done and gone so I am really sorry if you have had to wait - we have been working as fast as we can. The vanilla beans and old roses sari ribbon is nearly all gone and the other colours are not doing a bad job of moving off to new homes as well. I have placed a new order which I hope won't take quite so long. But more importantly - I received a lovely parcel today for OWOH - from Sharne - Hundertwasser - so wonderful - thank you so much Sharne - I am so pleased I won your draw. It put me back on the straight and narrow today and I even pulled out one of my many Hundertwasser books for a quick long look. Our big shipment of Soy Wax arrived yesterday and I have spent ages packaging the 50 kilos. This is what I have been testing over the past few weeks - I have a wax thingy which my hairdresser gave me a long time back and it is just perfect for heating the soy wax which melts at a very low temperature and is easy to use. I am not wanting to dye at the moment so I have been painting with Dye-na-flow paints and very pleased with the results. Rae sent me Paris fabrics (not quite on the web yet) and some extras for me to play with for my Paris journal which I started in Sydney - I didn't do a lot I must say. Thanks Rae - I think that lace is destined for some nice spots. Last night we went to a play in the new State Theatre - nice building. It was Boundary Street and while the idea was good, the actors did their best , James Morrison was good - the play itself was thin and convoluted. And what annoyed me more than anything else were the two large tv screens with all the words written on them. So distracting - I am not sure I want to go to another play if that is the norm. Off to write and have a glass of wine. Yesterday and today have been very exciting - lots of parcels - some restock and some brand new stuff. Not all boxes opened as yet. Most exciting was the shipment of sari ribbon - 7 new overdyed colours including Vanilla Beans and Old Roses (have to create names for the other 6). Should be on the web very soon but just email me as I know lots of people are chasing them and they probably won't last long and I will have to go through the drama once again.We still had things not sent but there are matching colours in silk twist as well - haven't pulled them out yet. And no - I am not cooking David Thompson Thai meal tonight but a curry. I must take that off my bench. There is a Moroccan cook book on that pile as well. We also received a big pile of hand made buttons from the Scottish Highlands - some similar to what we have had before but these snazzy ones are quite different. Ian has managed to load the new Paperartsy mini stamps and the new Hot Block kit but lots to come. This morning we were up bright and early to fly home and for the first time almost I watched a film - Social Network - very interesting and helped two of the five hours pass by. This is actually in Sydney when we went for a walk in the gardens near the Opera House. Very hot and sticky it is. This morning I went for an early walk to the yacht club. This the 18footers league club - the home of the 18ft skiffs. Very friendly club - very noisy at night when all the yachties get inside to have a drink and talk about the stories of the sailing day. On the other side of the clubhouse. The ferry to town goes from the end of the jetty and also the spectator boat leaves here for each race. Yesterday Slam came 5th which makes them third at the moment after they have all discarded their worst race (the one they had to withdraw from when they broke an essential wire). So today's race will be exciting and also for the two boats who are neck and neck. All the skiffs sleeping quietly overnight after working hard. Double Bay is an interesting place - not just for the yachts... It is the fashion Mecca of Sydney where you can see all the big name clothes at double the price and the place is full of overdressed people in flash cars including the sort of 4 wheel drives which are never likely to see an ounce of bush. Here is Slam relaxing in the morning sun getting for one more day's work. Last night we all went to Thai Fiveways restaurant - very nice food. I have had many emails from so many of you lovely people asking after Bruce and Kazuko. Thank you so much for your care. Bruce is safe and sound in Perth and Kazuko and her family safe in Sapporo. Sapporo is on Hokkaido - the northern island of Japan. It has been the most dreadful of earthquakes with such a devastating tsunami. Dreadful to watch the scenes on television. Can things get much worse in the world? I think I asked that the other day. The planet sure is angry. We were celebrating that and the fact that the air con back home has been removed from the right of way after at least two years of battle. We will be able to enjoy our back garden in peace at last. Rest day today and two more races to go. Let's hope all goes well. Ian and I are definitely relaxing - we had dinner last might with Annette and Terry who arrived from NZ. Today we are flying from the wild west to the big smoke - aka Sydney - to watch Grant sail in his last 3 races and cheer him along. (nothing like having your ma and pa to bother you). We will be back on monday but the beauty of i-phones and stuff is that you can answer emails even on a spectator boat! I have created my fabric (secret only known to the Hot Needles Cool Stitches workshop people) , cut it and woven it and all ready to stitch some Paris. Have to add some roses for sure. Just discovered it's a public holiday here in the wild west - I am sure we had one not long ago but it does explain why there was no-one about when I went to get the papers. I am not sure if they have these in the rest of the world but we have rubbish collections here a couple of times a year - these are the sights which greet me outside our front gate. Stuff goes out a week or so early and people come by and take stuff away or disperse it into a mess - I expect a lot of it goes into the back yard of the place at the back of this picture - you have to see the rubbish this guy collects to believe it (the home of the yappy dog). Down at the corner - Ian has put some old gate frames out - his rusty wobbly-wheeled wheelbarrow disappeared fast and I think his rusty falling apart hibachi bbq has gone as well. The one he bought for $20 - he had to pay $90 yesterday for his brand spanking new one. More stuff - what do you do with you computer monitor these days? Put it out in the rubbish of course - there are dozens up and down the road. Of course, some of our local wanderers use the opportunity for a sleep, especially after a hard day's night. And I can guarantee you that as soon as the council have taken the collection away, someone up the back lane will dump a no-longer wanted piece of furniture...happens every time. I downloaded a panorama app for my i-phone and thought I would try it out - didn't really work but I do have 2 cars the same. Obviously with my photographic skills I need to practise more. Back to making flower paper - much better idea. The Holey Moley Club 2011 starts today so we have had a busy morning - Ian remembering how to set up the area on the web and me sorting out my stuff. Here are my Paris roses - I have started playing with my Paris stuff and I bought 2 bunches of lovely roses this morning for action. 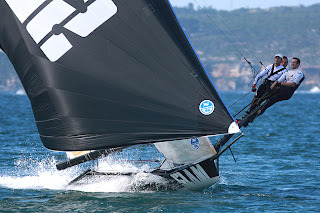 SLAM - we have been following the live tracker for race 1 of the JJ Giltinan and of course it malfunctioned on the last 2 legs - we think Grant was 5th or 6th at the end. There are 29 boats in the series. The Force plays its first home game down at the stadium tonight so we will be off to watch. Ian is getting ready for his traditional sausage and meatball on the bbq scene. 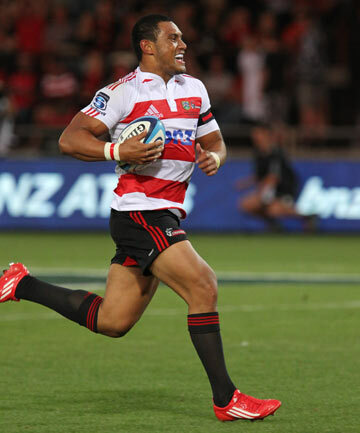 First up - the Crusaders beat the Waratahs in the super 15 which was wonderful for the Pike River mIners (they wore the West Coast jerseys) but also for Canterbury. Then I checked the net and discovered Grant in SLAM had won the invitation race of the JJ Giltinan. Brilliant start to the championships. Wish we had been there to see. This morning I ran an embellisher workshop at Janome in Balcatta - thanks Wendy for organising it. Most of the class had had their machines for quite some time I think and they had fun playing, I made up kits and took a box of stuff for htem to use so everything had a ring of my colour scheme to it - but they did some wonderful stuff and her are some to share. my theme was flowers and we sort of made fabric and a bookmark. It's amazing how everyone's work turns out different. these are great flowers - rolled roses I guess. thanks ladies - it was great. The autumn weather is not so nice - very draining. I managed to send the newsletter out today with very bad proofreading in my email - sorry about that - the brain is still fried. Product of the Month is running alittle late - I have sent out about half so if you haven't one yet it will be coming very soon.